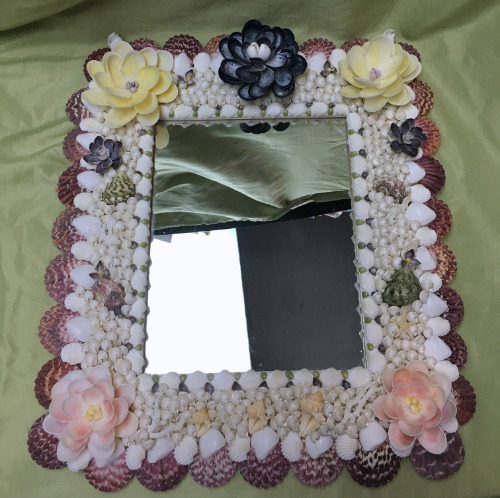 A large mirror embellished with seashells and shell flowers. The mirror part is 7 1/2 inches by 9 1/2 inches. The decorated mirror is 16 inches tall and 15 inches wide. Great for any nautical, beach, or traditional home decor theme.